We spoke with Eden Games CEO David Nadal to find out more about Gear.Club Unlimited, the first realistic car racing game for Nintendo Switch. This year has been a great year for Nintendo fans, particularly those who own a Nintendo Switch. With award-winning titles like The Legend of Zelda: Breath of the Wild, loads of indies, and dozens of exciting games making their way to the Switch in 2018, Switch fans have plenty of games to choose from and look forward to in the year ahead. However, when it comes to realistic racing games, the Nintendo Switch isn’t the first console that comes to mind. Switch fans looking to get their racing fix have had to settle for speedy sci-fi racers like FAST RMX or zany, colourful ones like Mario Kart 8 Deluxe. Although those sorts of games have their own unique appeal, there hasn’t been anything on the Switch to really scratch that Gran Turismo or Forza racing itch. Solid, realistic racing games have been something of an Achilles heel for the Switch, but the team at Eden Games is looking to change all that. French game development studio Eden Games (V-Rally, Test Drive Unlimited) have bridged the gap between Switch users and realistic racing games by bringing Gear.Club Unlimited to the Nintendo Switch. Gear.Club was initially released as a mobile game and has since made its way to Nintendo’s portable home console, making full use of the Switch’s unique control features. 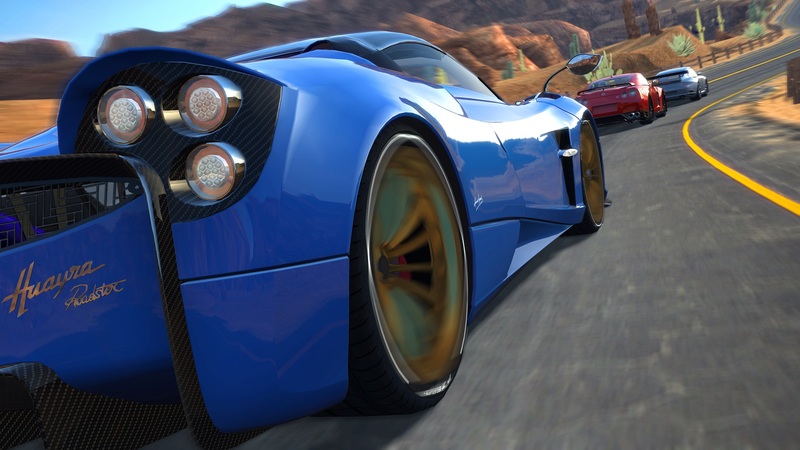 Developed by Eden Games and published by Microïds, Gear.Club Unlimited is an authentic racing game that puts players behind the wheel of fast, gorgeous supercars made by some of the world’s leading car manufacturers. We had the opportunity to talk with David Nadal, CEO of Eden Games, to discuss the recent Nintendo Switch release of Gear.Club Unlimited and how the game capitalizes on the Switch’s unique capabilities. Indie Obscura: What inspired you to create Gear.Club Unlimited? David Nadal: We have Racing games in our DNA. Eden Games was founded in 1998 to develop one of the most successful game franchises on PlayStation: V-Rally. 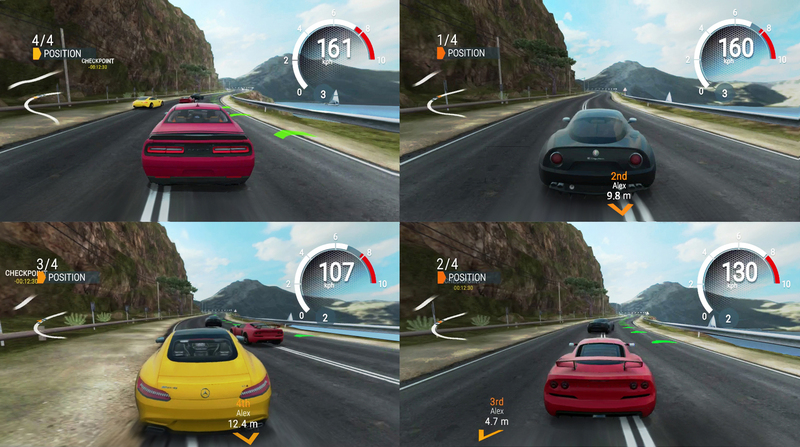 Then, the studio extended its expertise in racing games with the development of Need for Speed: Porsche for Electronic Arts and later Test Drive Unlimited, the first massively online open-world racing game. When we create a new franchise, we are always asking how we can shake the traditional way of making racing games. When we decided to create Gear.Club Unlimited, we had Test Drive Unlimited in mind which was well received and praised for its new way of playing. But, I had a frustration with Test Drive: the Houses. You could buy your house and customize it and it was mainly a hub where you stored your cars which your friends could visit. Even if it was a good idea, to my mind it was not enough. This is why on Gear.Club we kept the House you own, but we changed it to a Performance shop. A place where you can still store your car and meet with your friends, but more importantly, a place where you can buy new tools and workshops to pimp your car and tune its performances, and that makes a big difference! From other racers I really enjoyed how Forza was making its deep physics engine accessible to novices thanks to its assistances. We decided to do the same for Gear.Club. Gear.Club is the first authentic car racing game on the Nintendo Switch. In what ways does Gear.Club benefit from the Switch platform? DN: We are happy to offer to Nintendo players a realistic racing game on this new console. Gear.Club Unlimited uses several Nintendo Switch features, including the gyroscope, and the possibility to play with Joy-Con or pro-controllers. We are huge Nintendo fans. We enjoy the conviviality of the console, the fact that Switch is made to gather people to play on the same screen at home or on the go. Race through a variety of tracks and environments in Gear.Club Unlimited. With Gear.Club available on mobile devices, did this make it easier to bring the game to the Switch? Did you face unexpected challenges? DN: We are very proud of our work on this title and Nintendo was really helpful during the development of the game. Even if the game sounds the same, we had a huge work with the progression rebuilding it from scratch. We also wanted to take full advantage of the machine’s power and we reworked all the arts to deliver higher definition of graphics and visual effects. It runs in 1080p in dock mode, 720p handheld. We guarantee minimum 30 FPS across the board. Maybe our biggest challenge was to build the 4-players splitscreen mode. We wanted it to be fun and, more importantly, run at 30 FPS. Easier to say than to make. This needed a huge amount of effort from the team, but the result was worth it. The game definitely looks gorgeous, so we'd agree it was well worth the effort. Now, the vehicles in Gear.Club are based on some of the top car manufacturers in the world. How accurate are the cars in-game to their real-world counterparts? DN: We work very closely with all car manufacturers to make sure we replicate their models accurately. Most of them provide CAD data that are laser scanned so perfectly accurate. So, the shapes of the cars are perfectly accurate. We also worked on how the light reflects on paint when it's metal or not, and when it's matte or glossy. The effects are well replicated into the game. Last but not least, the physics are based on all mechanical data provided by the car manufacturer. We are really proud to say that each car is different and behaves accordingly to its real-life counterpart. We have forged strong relationships with car manufacturers over many years and multiple titles, always getting one level deeper into the tiny details that make the difference. Gear.Club Unlimited supports local splitscreen co-op for up to four players. Though it was a bit challenging to develop, many players are happy to hear that Gear.Club Unlimited supports local splitscreen multiplayer. Can you tell us more about this feature? Can players race against AI? DN: Players will be able to enjoy local multiplayer, playing in splitscreen up to four friends (or foes) at once, on TV or on Switch screen. In this mode, players can choose whether to activate AI or not. They can also play with all the cars available in the game, even if they didn’t unlock it in campaign mode. We believed so much on this feature that we decided to create a new game mode that will appear later: the Championship mode. You will be able to compete against your friends in different championships to see who is the best! Sounds like Gear.Club will definitely bring out the competitive side in players! 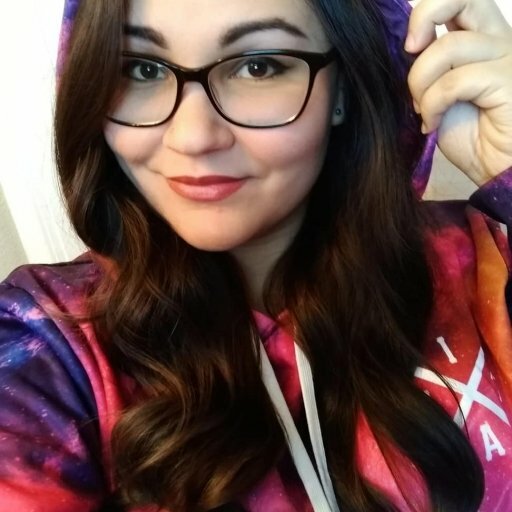 Let's pivot and talk about customization. Tell us more about the Performance Shop you mentioned and its different features. 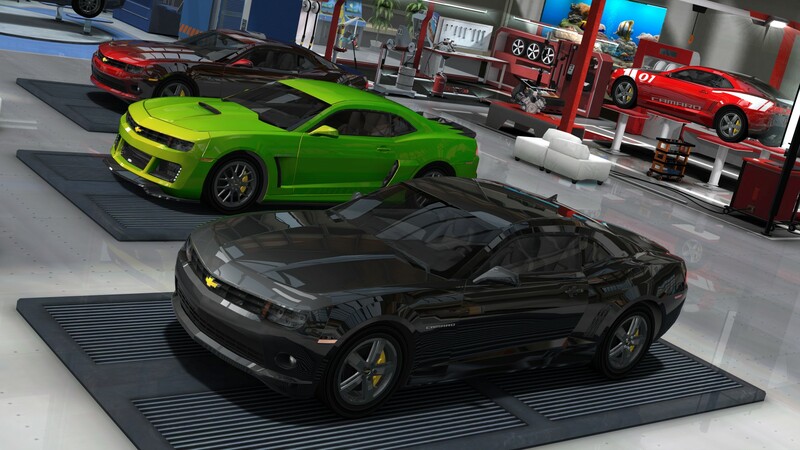 DN: Performance Shop is an entirely customisable garage where players can upgrade and customise their vehicles. They have several options to decorate it, a “sims style” in which you can choose your own ground, the colour of your walls, location of your workshops, etc. You can also add some items to create a sort of break room for your mechanics, like coffee machines, foosball, and other funny stuff! Of course, the main interest of the Performance Shop remains in its seven workshops (mechanics, pneumatics, bodywork, wind tunnel, rally, paint shop, cosmetic shop) to upgrade your cars. Workshops themselves are also upgradable. Some of them start with simple tools like a jack, and end with robots! Players will have to choose which part of their cars they are going to upgrade. It’s not a good choice at all to fully upgrade your engine without upgrading your wheels, for example. Choose wisely to create your own, depending on your driving skills and preferences. The Performance Shop offers endless customization options for vehicles through seven different workshops. With so many customization options, we have to ask: will there be micro-transactions? DN: There are no micro-transactions. You get the full experience after purchasing it. We really want to offer new experiences to players, that’s why we are already developing the next three DLCs and I can announce they will be free! That's great news! It's probably easy to spend all day customizing awesome cars. Speaking of which, what is the coolest custom vehicle you’ve seen someone make in the game? What sort of features did it have? DN: Difficult to answer this question, because it depends on the tastes, but I really like the AC 378 GT Zagato fully upgraded, blue and with two white stripes across the car, lovely and furiously fun to drive! Do you have a car that’s your personal favorite? What do you like about it? DN: In-game I have many. The Lotus Exige, the AC 378 GT the BMW M4 and the Mc Laren P1. What do they have in common? They oversteer a lot and I enjoy cars which behave like this. Maybe the consequences of making so many Rally games. How about a favorite race track? DN: Fox Crest! This track has everything, it is gorgeous and needs all the skills you can ask to a pilot. Sounds fun. Since this is the first authentic, real-world racing game for Switch users, do you have any tips or advice you could give to new players? DN: One really important element, the assistances. Don’t be afraid to adjust them and try different configurations. If you like simulations remove them. If you struggle with a new car, do not forget you can add more assistances even when the race has already started. Great, thanks for the advice. We'll keep assistances in mind for sure. Thanks for taking the time to speak with us, David! Gear.Club Unlimited is in stores now and is available on the Nintendo Switch eShop. For more information on the Gear.Club series from Eden Games, head over to the Microïds website.